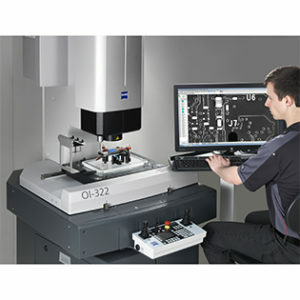 3D Engineering Solutions has recently acquired the new O-INSPECT 863 multi-sensor measuring system (800mm x 600mm x 300mm measurement volume) from Carl Zeiss Industrial Metrology, LLC. This system defines a new category of measuring systems and enables our team to optimally measure each characteristic optically, by white light distance sensor, or by contact probe. 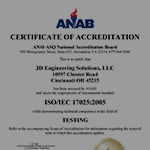 This fully calibrated multifunction system allows inspection methods to complement one another in compliance with ISO standards, allowing our engineers to choose the most optimal method for each measurement to provide the best possible data. 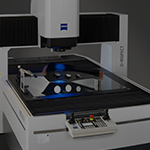 Our O-INSPECT system combines a 4th Axis Rotary Table, which allows inspection of complex parts such as cooling holes in additive manufactures aerospace part details. This new technology allows rotary axis feedback, eliminating hours from the inspection process while increasing measurement reliability. 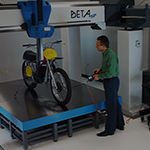 By combining tactile and optical measurement, and a “chromatic white light sensor” in some specialized cases, this multifunction machine eliminates the need to move test pieces between different measurement equipment. 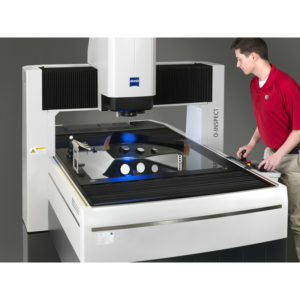 This increases accuracy, while reducing time and cot from your measurement process.